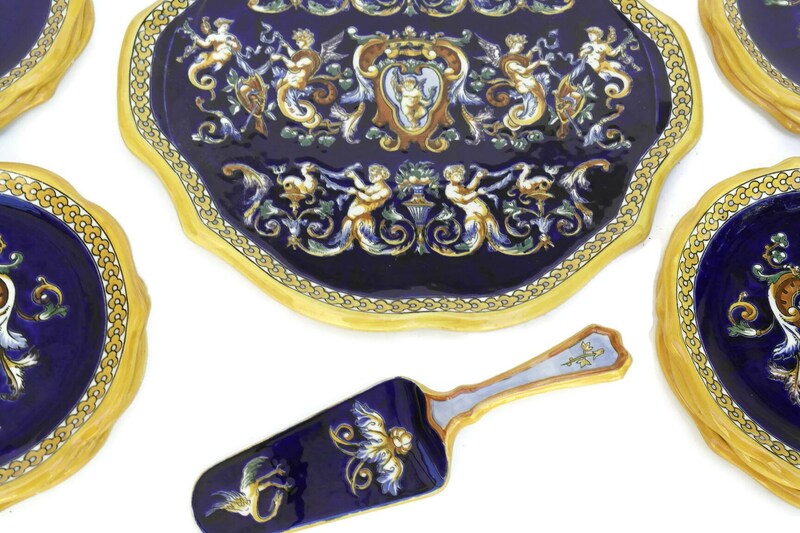 Gien Blue Renaissance Dessert Service. 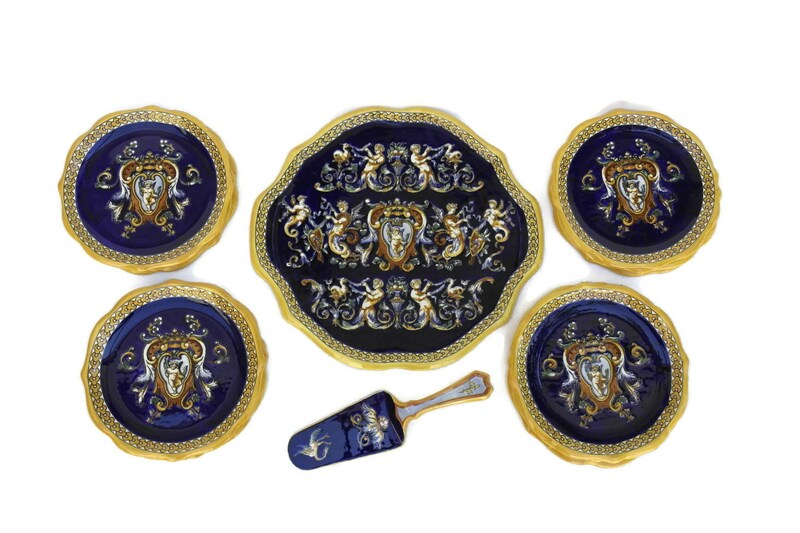 An exquisite vintage French cherub dessert service manufactured by the famous Gien pottery company in their beautiful blue Renaissance pattern. 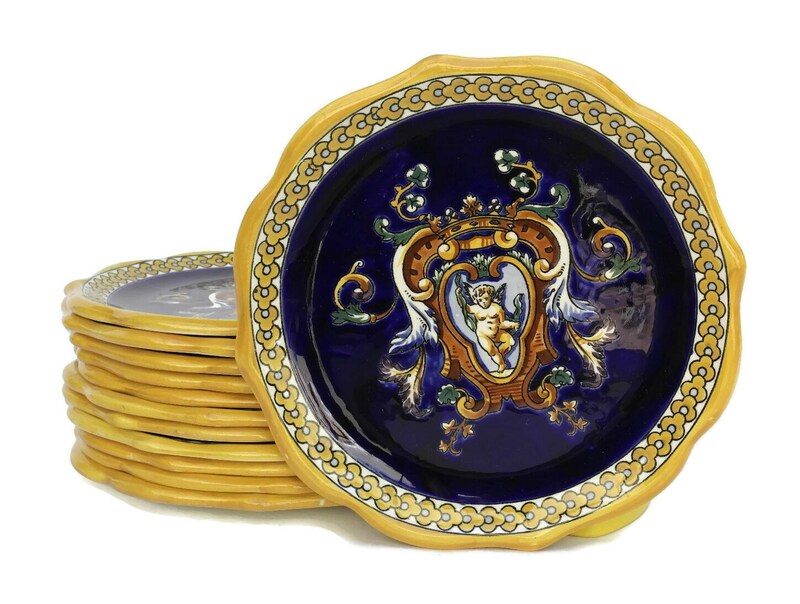 The French faience set includes a large cake plate, 12 dessert plates and a pie lifter. 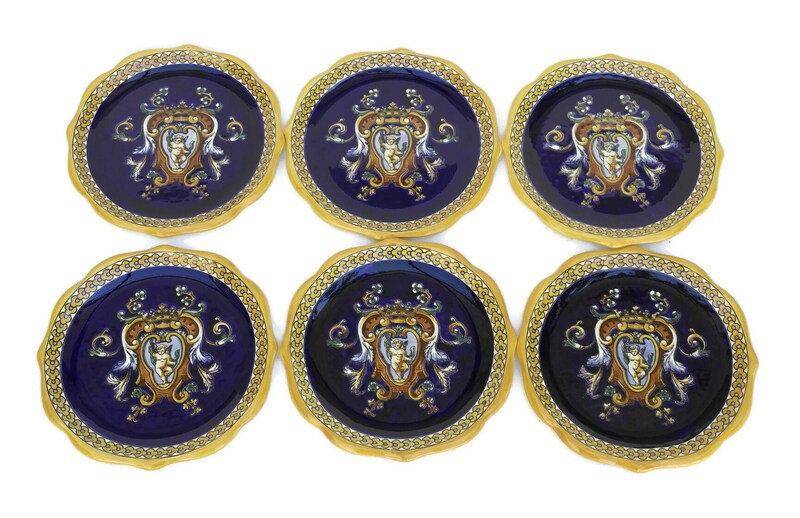 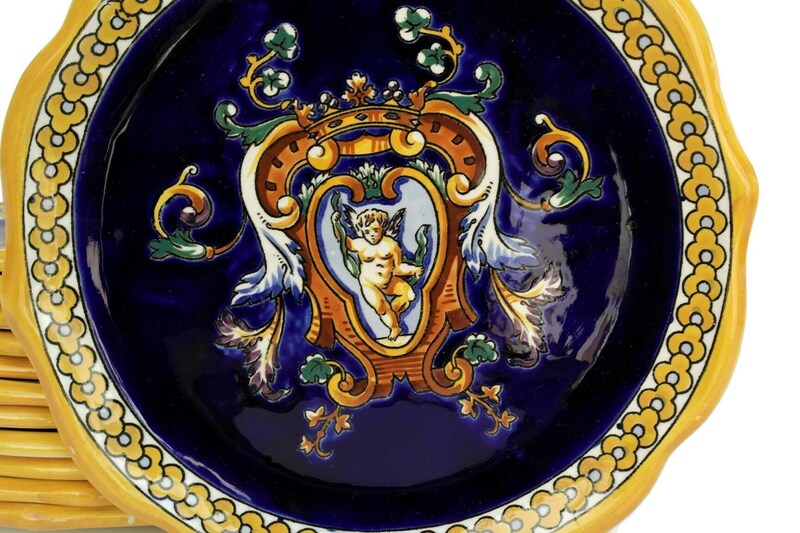 Each piece has been individually hand-painted with cherubs and mythological decor on a deep blue background. 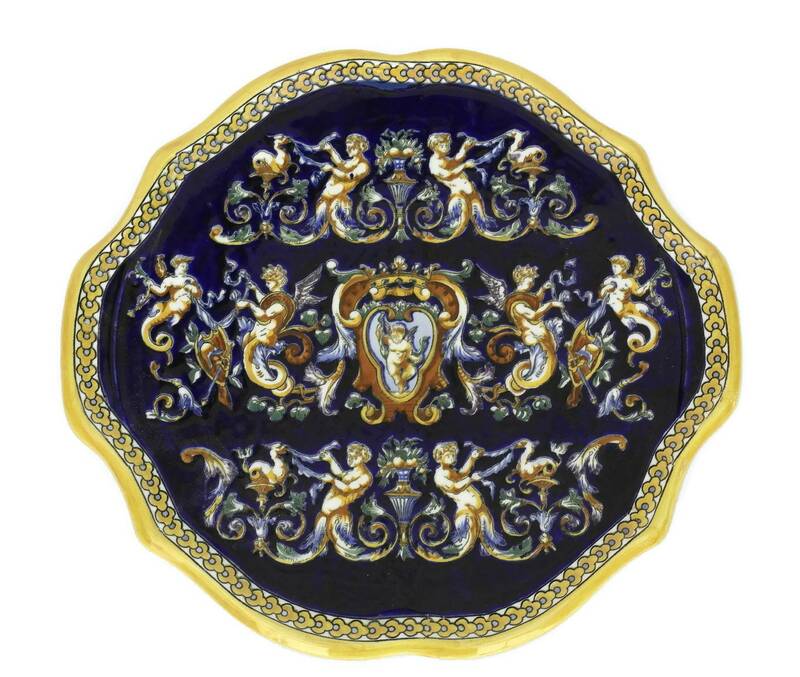 Cake Platter: 15" Wide (38 cm). 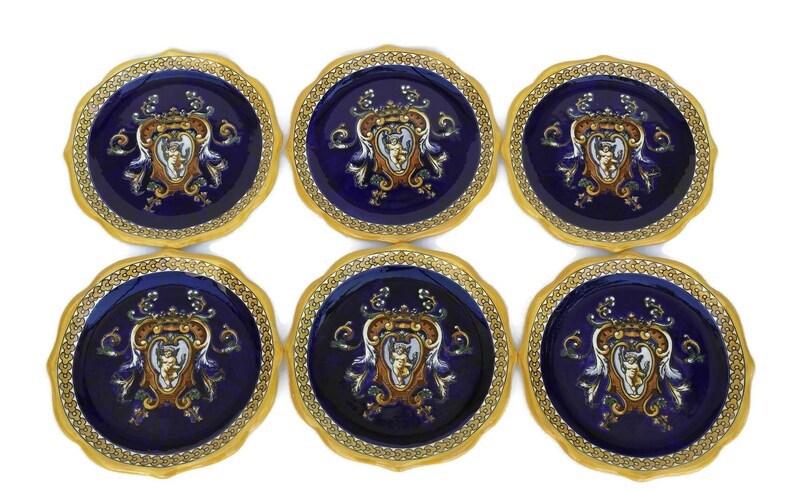 Dessert Plates: 8.75" Wide (22 cm). 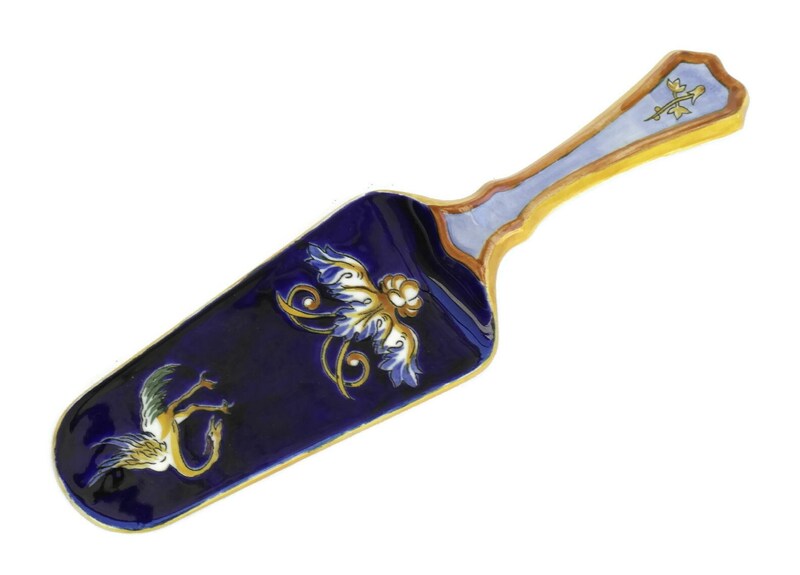 Pie Lifter: 10" Long (25 cm). 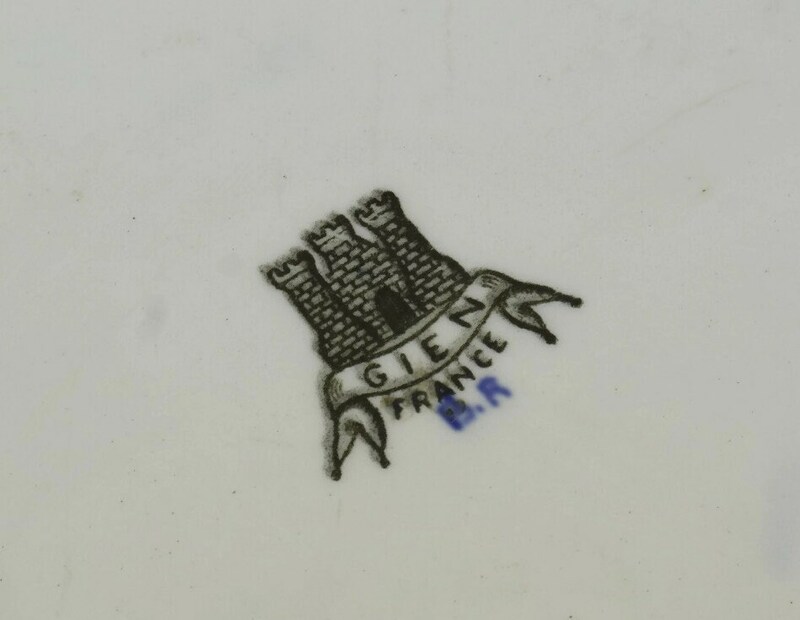 The Gien blue Renaissance dessert service is in excellent condition. 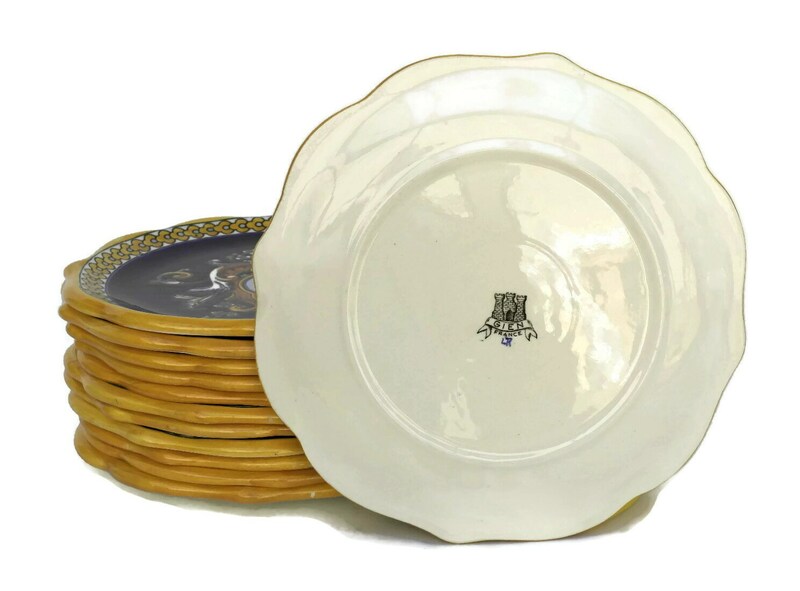 There are tiny flakes to the glaze on the rims of some plates.